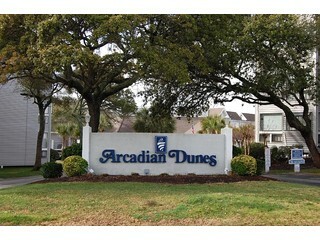 Beach Internet is the preferred Internet service provider for Arcadian Dunes. In the prestigious “Arcadian Shores” section of Myrtle Beach, tucked away in a beautifully landscaped area just minutes from the beach, is a beautiful complex known as Arcadian Dunes. Within that particular complex there are 240 spacious two bedroom residential condos, approximately half of which are occupied year round by their owners. All condos offer two full bedrooms, two full baths. Amenities include tennis courts, two swimming pools, live security, clubhouse and onsite restaurant. Nestled among the beautiful spreading oak trees along the coast of South Carolina at Myrtle Beach, lies a resort few are aware of, SummerTree Village. We are a small community of one hundred and ten condo units. The “Village” is approximately two hundred yards from the Ocean and boasts of some of the most beautiful beaches South Carolina has to offer! Within a mile of our hideaway, there are supermarkets, restaurants galore to meet every culinary challenge, Outlet Stores and several Malls! Recreation in Myrtle Beach is supreme! There are over one hundred golf courses, countless miniature putting courses and many golf supply stores. There is even a par three course and driving range, within minutes of our complex. Add to this an amusement park, many Night Clubs in the area or on the beach, a comedy club, a huge water park, an aquarium and the ever popular Boardwalk at the Beach. This adds up to fun and entertainment for the entire family! 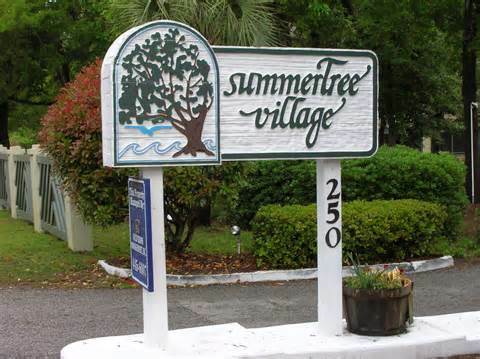 Summertree Village should definitely be your starting point when you want to visit Myrtle Beach, no matter how long or short that visit may be. Maybe it will even become your permanent exciting family dream vacation destination. Shipwatch Pointe II is located across the street from the beach, and is located on popular Shore Drive. This area is filled with family vacationers. The Apache Pier is a short five minute walk up the beach. There is a neighborhood convenience store, pizza shop, Subway, and ice cream shop within a minute’s walk. The new Tanger Outlets, Restaurant Row, Wal-Mart Super Center, Dixie Stampede, Carolina Opry, Krogers, and many other restaurants are within a five minute drive. Shipwatch Pointe II is located fifteen minutes from Broadway at the Beach, and centrally located to many other attractions. We are excited about our growth and have added many complexes. If you would like references from HOA’s or Property Management, please fill out our inquiry form and you will be contacted within 8 business hours.